Google Chrome is one of the most popular web browsers in the world at the moment so it’s no surprise that developers and enthusiasts are keen to build and publish extensions for the software. Perhaps one of the simplest but highly functioning Chrome app available at the moment, is the newly discovered Vysor, which comes courtesy of the prominent developer behind Android apps and tweaks like AllCast, Helium, ROM Manager, and most importantly, ClockworkMod recovery. Vysor allows the display of an Android device to be mirrored onto a PC, Mac, or Linux computer running Google Chrome with absolute minimal fuss. Vysor is currently in beta stage, and utilizes the Android Debug Bridge (ADB) for remotely controlling a connected Android device from the computer. When installed, Vysor will set about automatically detecting any device that has ADB enabled and is connected via USB to the computer. This then allows an extremely simple process of just selecting the displayed device, which in turn will display the device’s screen on the computer. One of the great things about Vysor is its simplicity in comparison to other mirroring apps and offerings that are out there. Vysor doesn’t require any additional Android app to be installed on the connected device, and nor does it require any escalated privileges to be granted by the user. Koush, the developer behind the app, has been keen to point out that his little utility also comes equipped with what he calls Vysor Share, or the “understated killer feature for Android developers”. When using the Vysor Share functionality users are able to remotely control a smartphone from another computer via the Internet, with the only requirement being that both of the machines in question have the Chrome extension installed from the Chrome web Store. Vysor is currently offered free-of-charge, and despite being a beta, appears to be working extremely well. Check out Vysor for Android devices in action in the video embedded below. 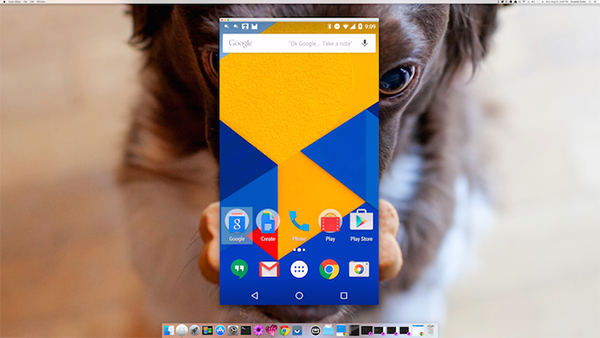 And this particular video below demonstrates the Vysor Share feature for Android devices. Lenovo P780 – Not working, displays a graphic. Hey folks, just google atttiphooneuunlockingis really a really nice site. I’ve used it many times for ՍΝᏞΟᏟΚing my iphone, they can even սոⅼοсking the modern 6S and 6C.